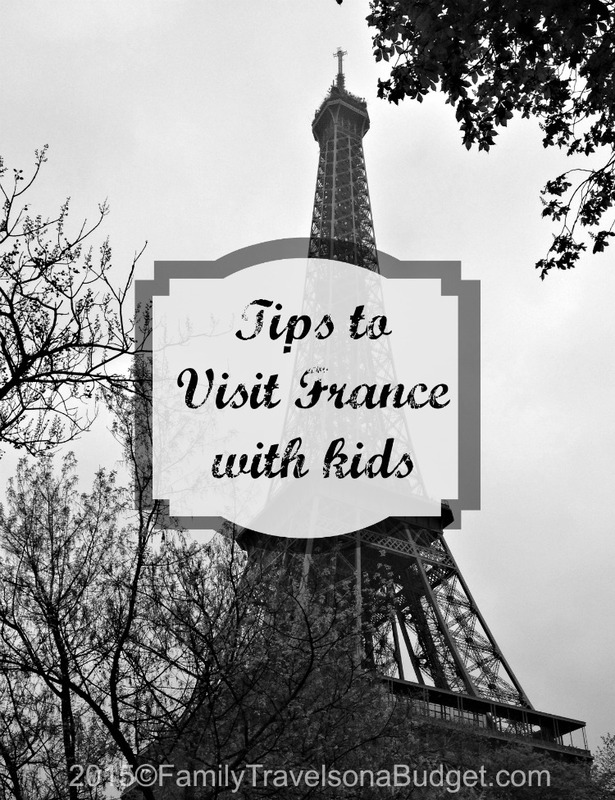 Wouldn’t it be fabulous to vacation in France with kids? It’s something I always thought was out of reach (financially), but we figured it out and in 2012 took a dream family vacation to Paris. We love the city ~ the touristy spots, the museums and local neighborhoods too. When I’m asked what to do in Paris, I want to say “ALL OF IT!! !” That’s not very constructive, so instead I would say: travel like a local (walk, bike or metro). Get outside the city center (Arrondissements 1-8) and enjoy dinner at a neighborhood restaurant somewhere. Slow down. Especially at dinner. Slow down! I don’t think you can beat Paris when it comes to family travel in France. 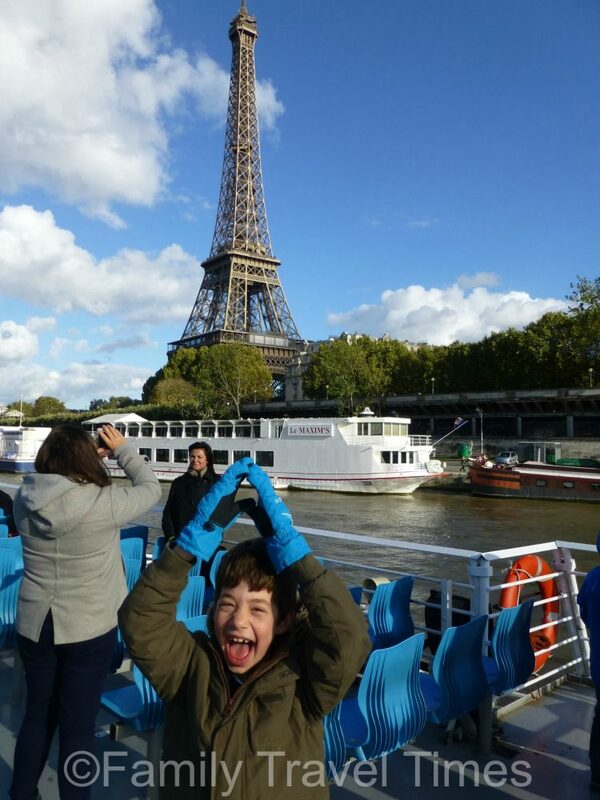 There is just so much to do, from a trip along the River Seine (our favourite outing) to one of the glorious parks, museums (we liked Rodin’s The Thinker) or monuments (the Arc de Triomphe is fabulous). If you want to go a little further afield, you can explore Disneyland Paris, and of course there is also a fabulous array of croissants, baguettes and crepes to gorge on too! The crepes! My favorite is a simple sucre crepe. My boys devoured all sorts of crepes, savory and sweet. Sarah’s is creme de marrons (chestnut cream). Really, get a couple and decide for yourself! Not everyone agrees that Paris is best… (Maybe I should go back and visit other areas, you know, for the sake of research!) Dana Zeliff, who writes at The Talking Suitcase, says Nice is a great destination in France with kids. Nice, France is an amazing place to visit with kids. Swim in the Mediterranean, play at the mountaintop park near the chateau, and eat ice cream in Old Town from the famous Glacier Fenocchio. 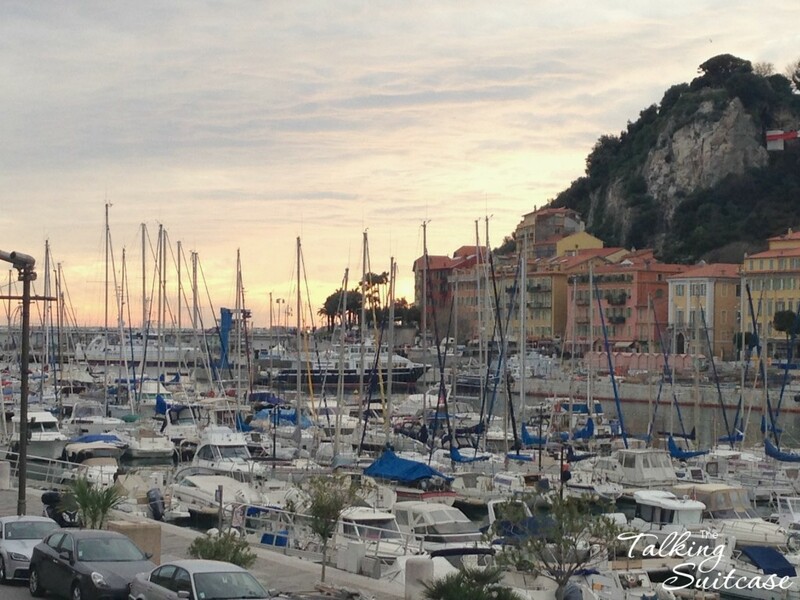 Nice is also a great base for visiting many other kid friendly destinations such as Monaco, Cannes and Antibes. The Parc du Château, which sits high above the city offers panoramic views of the city, the the bay and the port. The original castle, built in the 1100s was torn down in 1706, leaving only remnants of the castle, exquisite gardens and children’s playgrounds. There’s a lift available from the Tour Bellanda or guests can hike up from the old town. 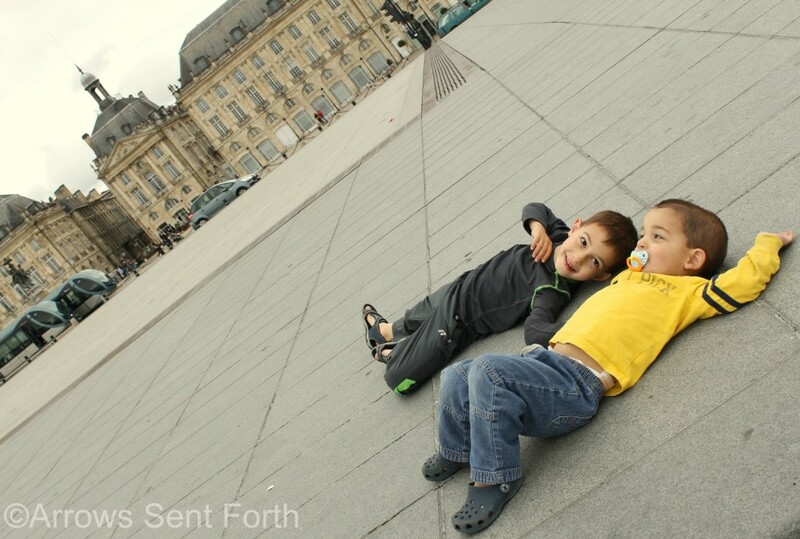 I think Bordeaux is a perfect vacation destination for families. It’s a city with many of the amenities that anyone dreaming of a trip to France is hoping for, like carousels, vibrant markets, historic buildings and open squares lined with cafes. Yet it has one of the easiest public transit systems I’ve ever experienced and it’s a manageable size perfect for walking around. As an added bonus for parents, it’s at the epicenter of one of the best wine regions in the world, and there are several wineries now catering to families that offer activities for children. Love this photo! 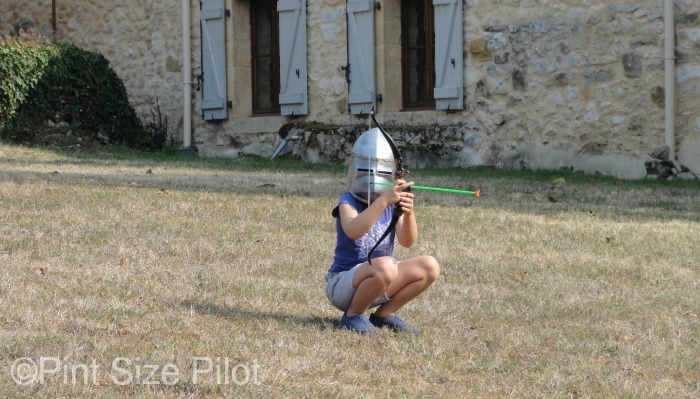 Bordeaux is great for kids! And wine! 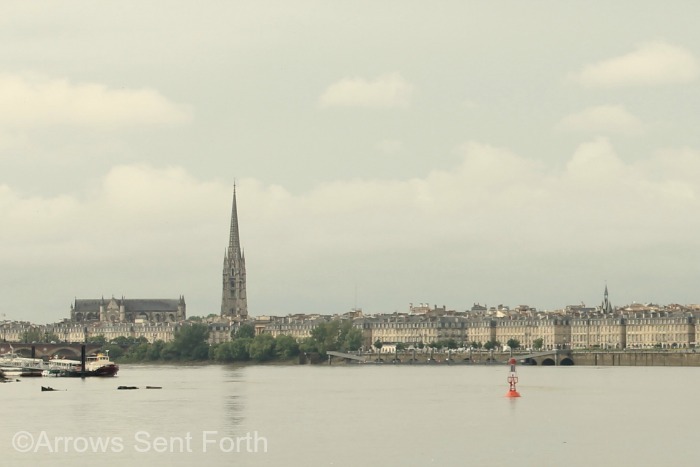 The region’s Tourism and Conventions site has great information to explore Bordeaux and plan a vacation to this vibrant region of France. As for me, Nicole had me at carousels and markets! 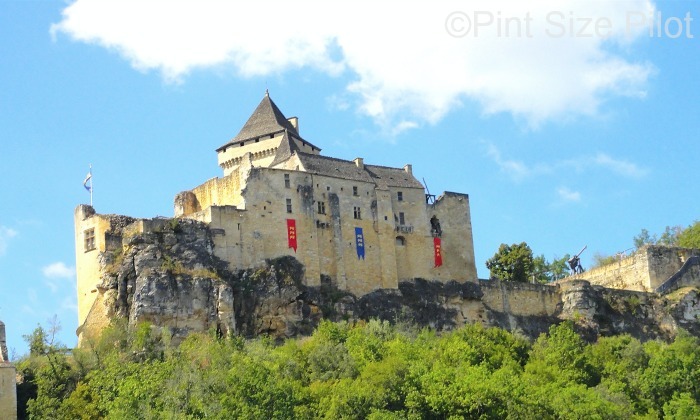 Upon arriving in the Dordogne River Valley region of France, my 8 year old son confessed that he liked it way better than Paris, because in the Dordogne he could “run around around and enjoy more nature.” I had to admit that I, too, preferred this region, falling in love with the beautiful scenery, castles, caves and farm-to-table cuisine. Her family photos certainly bring a smile to my face. What a wonderful adventure this is! Wherever your family travels in France, you’re bound to discover something wonderful. After all, the country’s rich heritage goes back 1,500+ years! One thing I do know, wherever you go, take France at her pace — immerse yourself in the culture. Enjoy the cuisine, whether classically French or rustic country. Don’t try to change her, but let her change you. France has a great public transportation system, both high speed rail and local metro, so consider that instead of renting a car for most places. If you do rent a car, make sure you understand insurance and traffic rules before travel. Embrace their culture…. don’t force them to be “American.” (After all, the United States is huge — explore the US if you want American culture). Enjoy a meal at the French pace. Sit in the park and watch the birds. Try new foods. Step outside the box. You won’t regret it! Visiting art museums can be fun! Here’s how we do it! Expect to walk! And climb stairs. France doesn’t have the same ADA rules we have in the United States. Parking in 1,000 year old cities is not as convenient as it is in the United States. You will have to walk — no matter how you get around. Pack comfortable shoes to make it easy on your feet. I love this post – thanks so much for featuring us. There is masses to do in France, as it’s so big (not compared to the US, I know, but compared to some other European countries). And it’s great for families too. Re public transport, we used it all the time in Paris and were very happy with it. Thanks for contributing. You made it a better post! I look forward to going back and seeing other regions for myself.